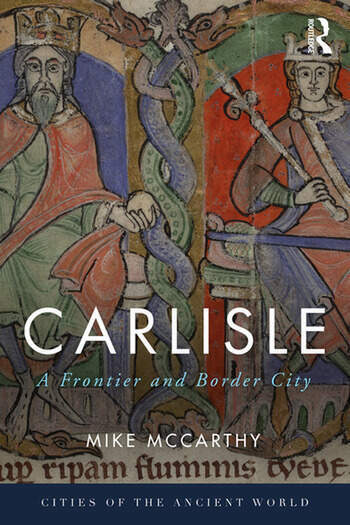 Carlisle charts the city's emergence as an urban centre under the Romans and traces its vicissitudes over subsequent centuries until the high Middle Ages. Arguably, the most important theme that differentiates its development from many other towns is its position as a 'border' city. The characteristics of the landscape surrounding Carlisle gave it special significance as a front-line element in the defence of the Roman province of Britannia and later at the frontier of two emerging kingdoms, England and Scotland. In both cases, it occupied the only overland route in the west between these two kingdoms, emphasising the importance of understanding its landscape setting. This volume sheds light on the processes of urbanization under the Romans beginning with a fort, developing into a major nodal hub, and ending as the capital city of the local tribe, the Carvetii. The story continues with the collapse of Roman rule and the city’s re-emergence first as a monastic centre, then as a proto-town in the period of Anglo-Scandinavian settlement. Finally, the Norman Conquest confirmed Carlisle’s importance with the establishment of a castle, a diocese, and an Augustinian Priory, as well as the granting of specific rights to the citizens. Carlisle uses a combination of archaeological discoveries and historical data to explore the history and legacy of this fascinating city. Mike McCarthy, FSA is Emeritus Senior Lecturer in Archaeology at the University of Bradford, UK. From 1977 to 2001, he was Director of the Carlisle Archaeological Unit.